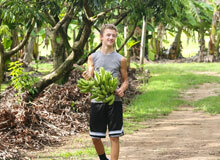 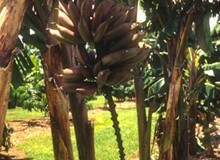 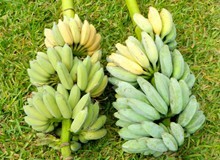 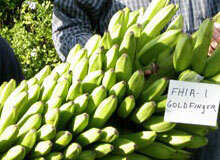 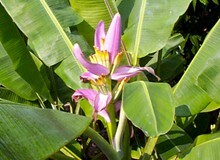 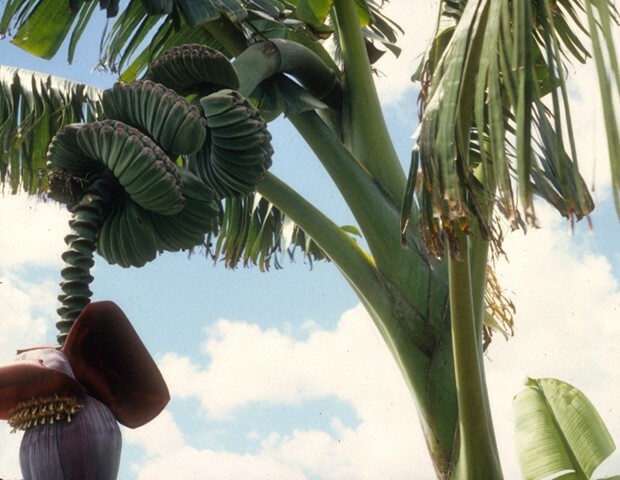 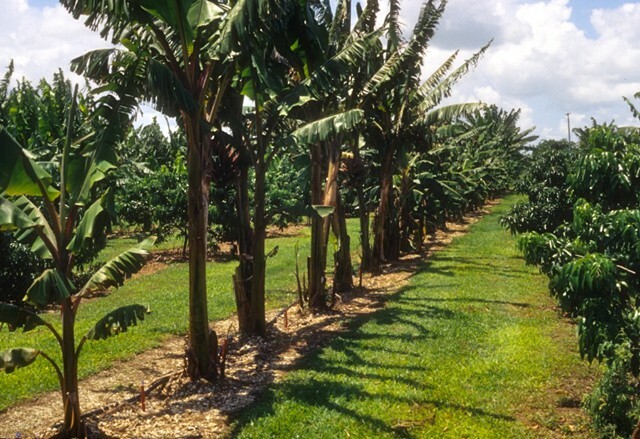 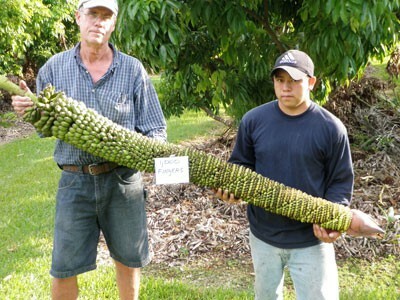 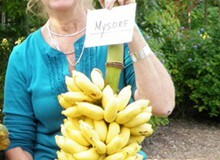 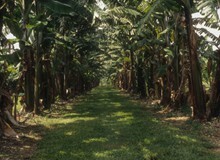 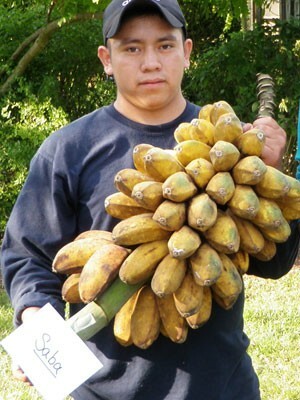 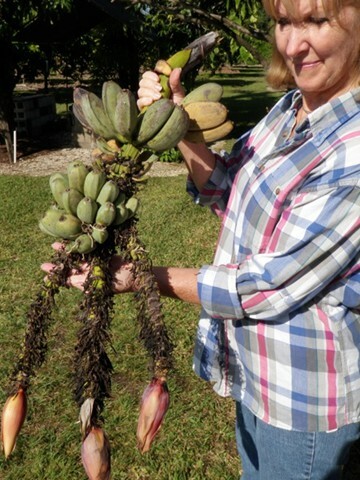 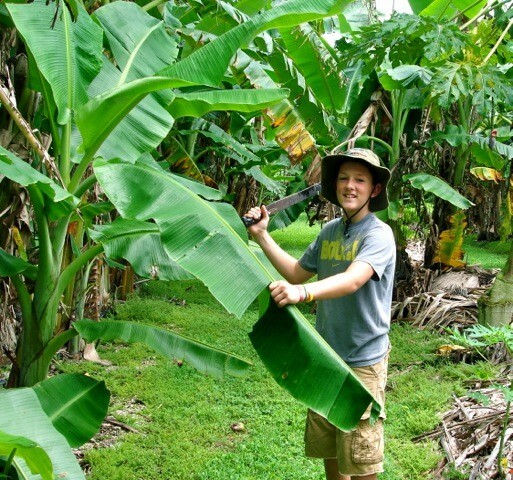 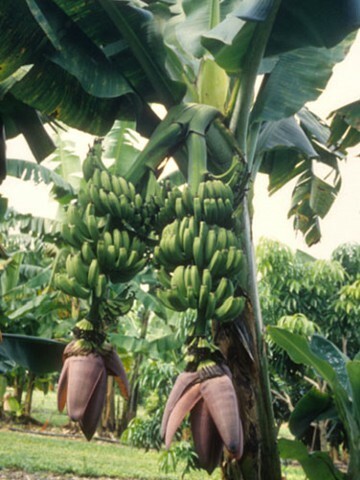 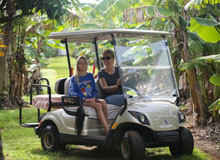 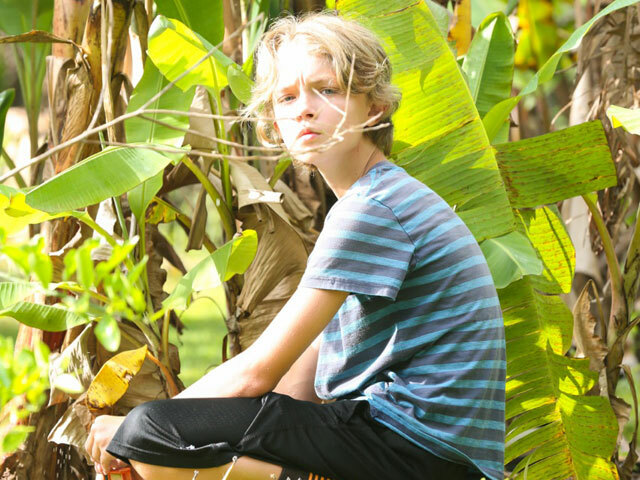 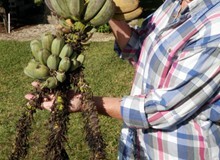 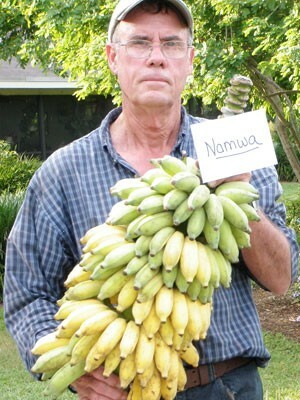 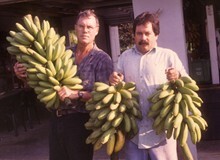 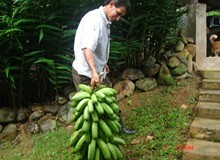 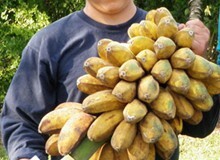 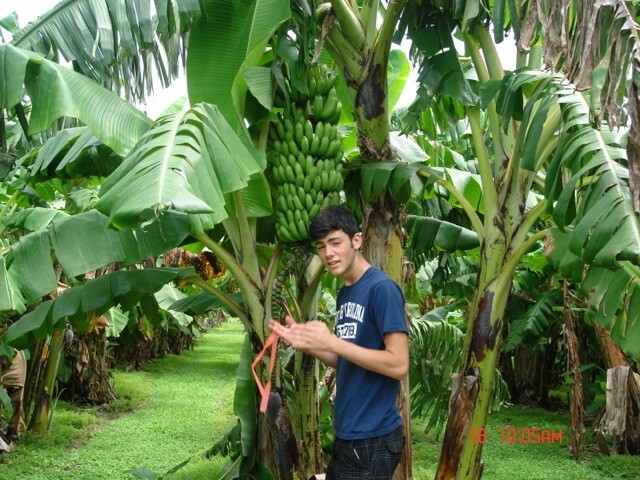 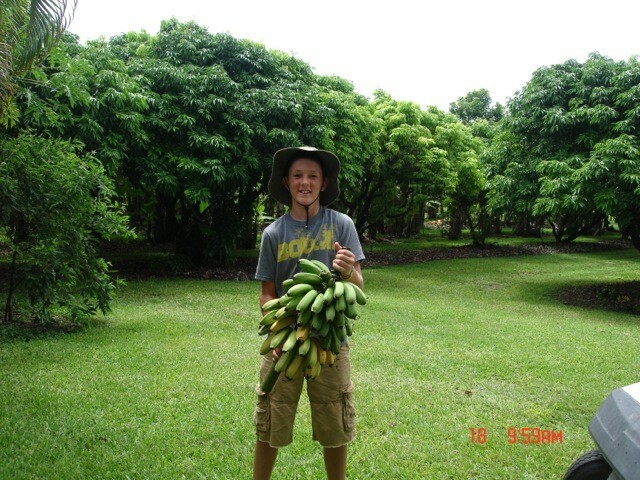 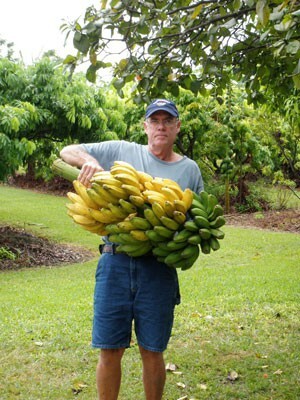 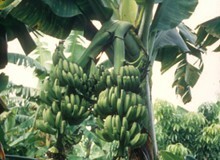 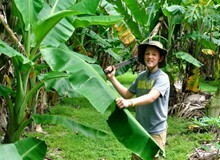 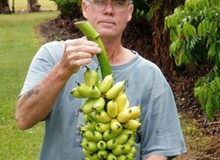 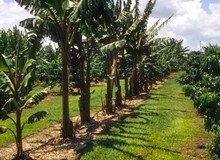 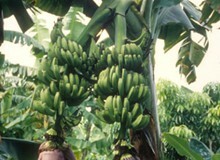 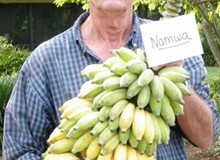 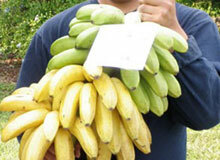 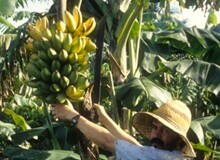 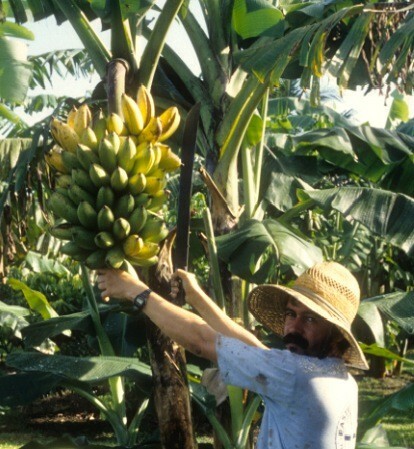 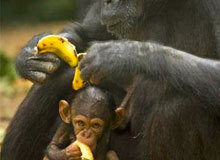 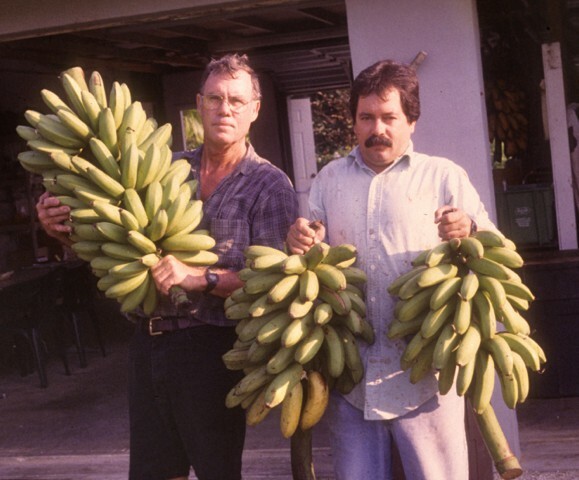 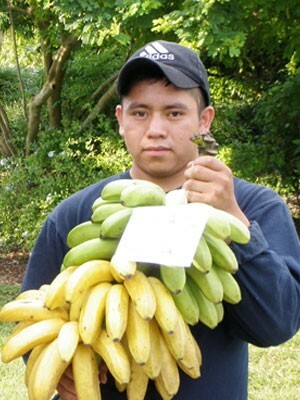 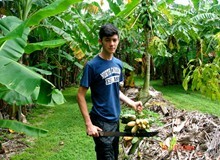 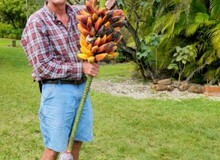 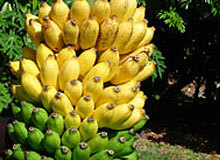 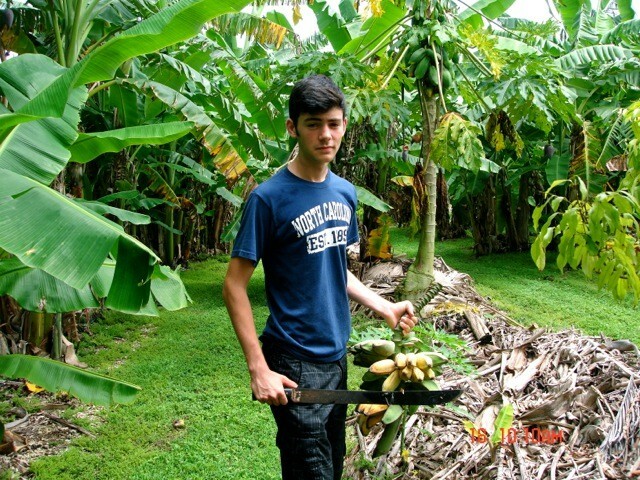 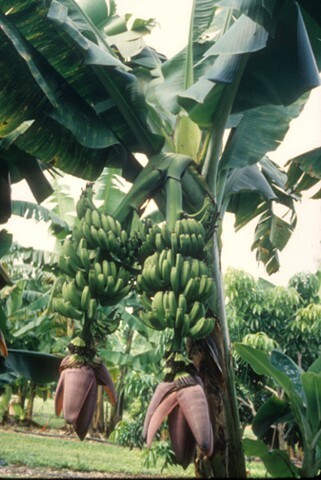 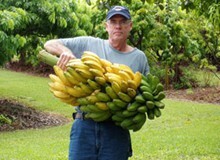 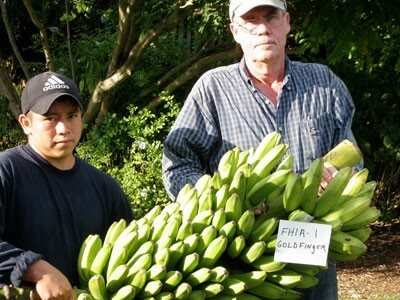 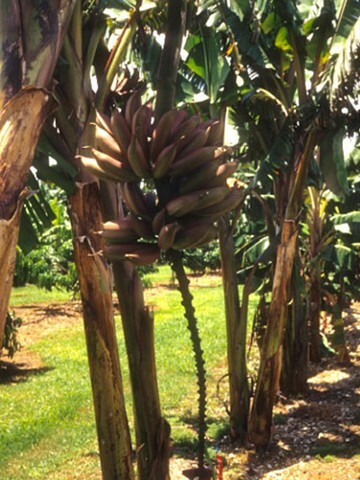 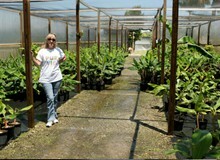 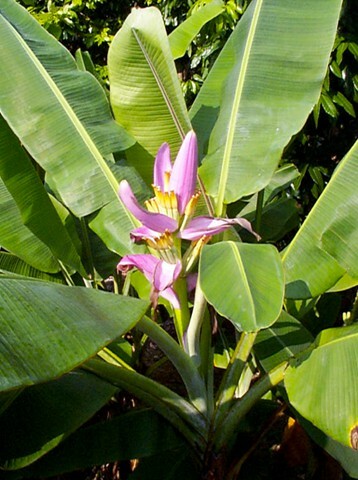 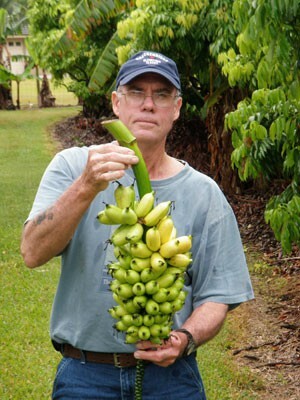 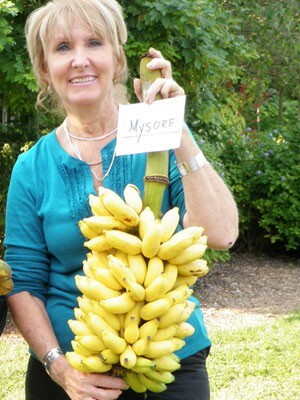 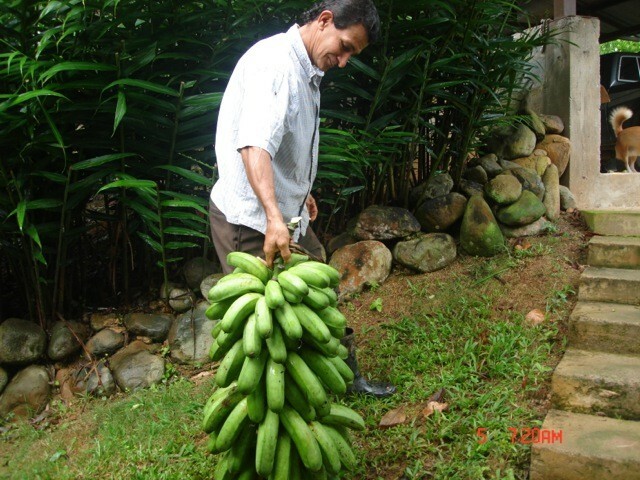 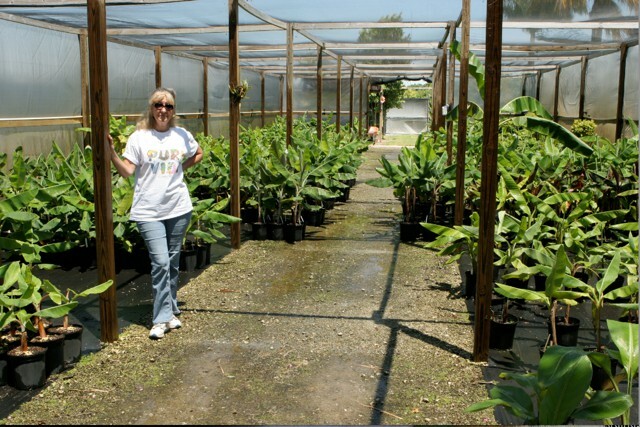 Photo gallery offering a view of all different types of banana plants, bananas and banana trees. 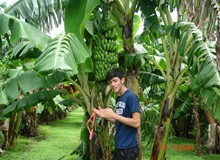 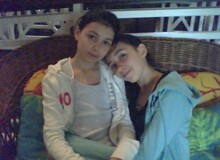 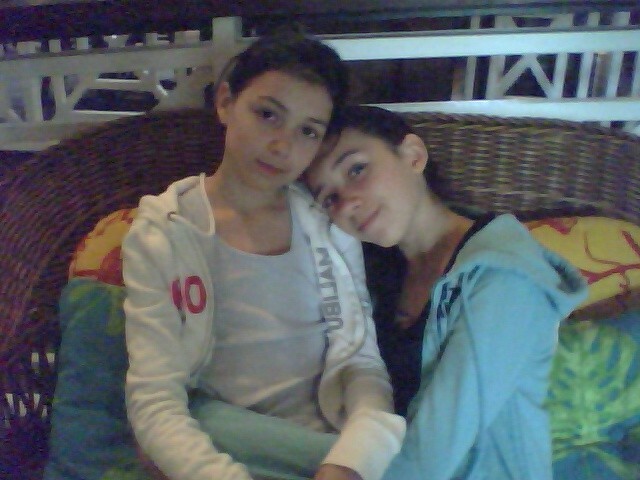 Photos viewed on this web-site were taken at our business location or have authorization to use. 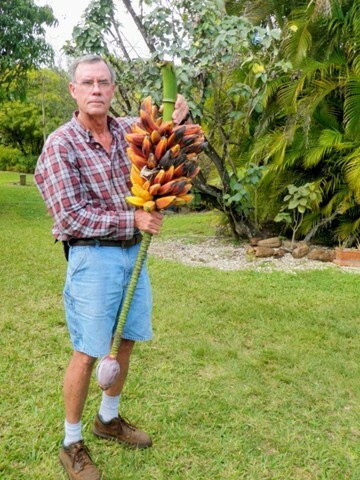 Reproductions are Prohibited. 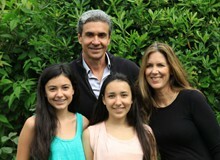 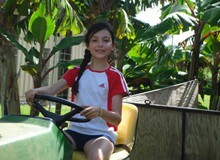 Please click images below to view larger, more detailed images. 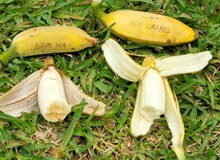 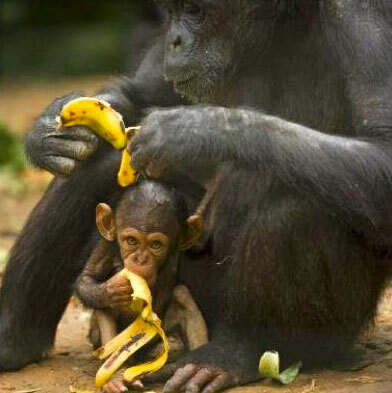 These first 3 photos should end the debate about the Namwa & Ice Cream being the same banana. 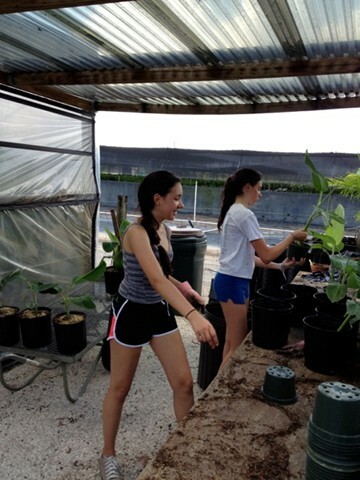 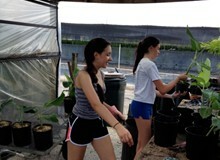 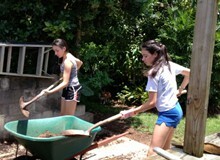 Emma helping Katie work on the banana farm. 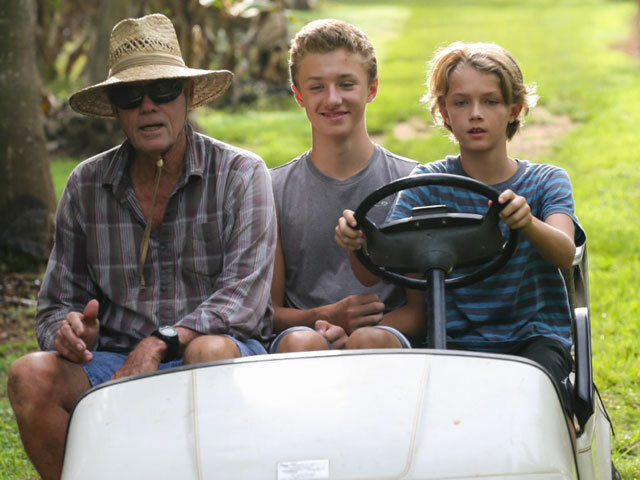 Don, Dillon & Patrick ... Look Out! Matthew ready to harvest big raceme.